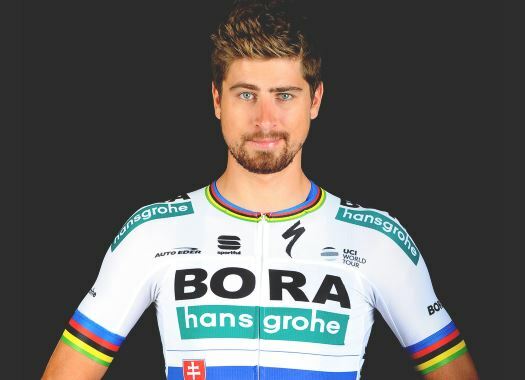 Bora-hansgrohe's Peter Sagan finished the sixth stage of Tirreno-Adriatico in the fifth position after a chaotic sprint. The Slovakian national champion suffered from a stomach virus just before the start of the Italian race and is still getting back to his best form. Rafal Majka, Oscar Gatto and Daniel Oss made sure to lead the pack to catch the escapees and then did their best to keep Sagan in a good position ahead of the final metres. The final sprint of the day was chaotic and the rider tried to find his way to the front, but his efforts only took him to the fifth position of the stage. "The guys did a very good job today in preparing everything for the sprint," Sagan commented at the finish line. "They pulled in the front, controlled the breakaway and rode hard in the finale to lead me out. "Unfortunately, I still need more time to get back to my best form. I did the best I could but it wasn't enough to win."